Use Contour Stack Chairs in meeting rooms, breakrooms, cafeterias, offices or anywhere extra seating is required. 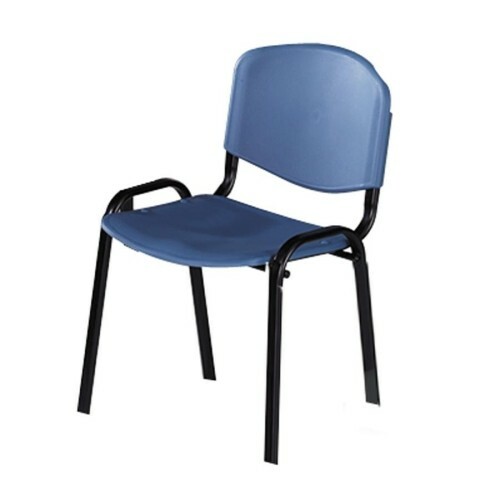 As an ideal solution for the need for more seats, these stack chairs feature a contoured design with a high-impact, polypropylene seat and back. Optional ganging connector (sold separately) easily connects four chairs to keep them in the desired arrangement. Each chair weighs 11 lb. and has an extra-strong tubular steel frame and plastic glides, making moving and stacking an easy task. Chairs stack up to 15 high for convenient storage. Each holds up to 250 lb. Seat size is 18-1/2" wide x 16-1/4" deep. Back size is 18-1/4" wide x 12-3/4" high.